It’s our great pleasure today to welcome Clara Brillembourg as an IntLawGrrls contributor. Clara advises sovereign governments and companies on international matters involving both dispute resolution and corporate social responsibility. Clara’s International Litigation and Arbitration practice focuses on the representation of sovereign States in international disputes with other States, foreign investors and before U.S. courts. She represents sovereign States before the International Court of Justice (ICJ) in disputes involving territorial rights, human rights and environmental harm, and counsels States in maritime delimitation cases before the ICJ, arbitral tribunals and the International Tribunal on the Law of the Sea (ITLOS). Clara also has extensive experience representing sovereigns in arbitral proceedings concerning foreign investment disputes before the International Centre for the Settlement of Investment Disputes (ICSID) and other prominent arbitral fora. Her representation of foreign States also includes domestic litigation before U.S. federal courts, often involving the Foreign Sovereign Immunities Act (FSIA). In her Corporate Social Responsibility (CSR) practice, Clara advises clients, particularly multinational corporations, on corporate social responsibility issues in their global business activity. She advises corporate clients regarding their international standards and context-specific risks related to human rights, security and social issues. Clara earned her J.D. from Yale Law School and her B.A. from Harvard College. Before entering law school, Clara served as a Junior Professional Associate with the World Bank’s Environment Department and African Human Development Department, working on the bank’s legal policies on the environment and indigenous peoples, and implementing development projects in Africa. 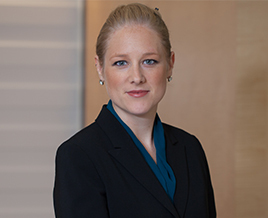 Prior to joining Foley Hoag, she was associated with two global law firms. Clara’s introductory post today discusses upcoming activities of the Women in International Law Interest Group (WILIG) of the American Society of International Law. Heartfelt welcome!